Currently 191 vehicles in stock! Look no further! You’ve found the best prices in the Houston area. The friendliest staff! The best reviews, we put you, the customer first. Hundreds and hundreds of used cars in stock. We have something for everyone. Here at Mac Haik 1960 Pre-Owned we believe that finding the perfect pre-owned vehicle for sale in Houston, TX needs to be an enjoyable and exciting experience. This is why we always make sure to put the needs of our customer’s first. Our goal is to never try and sell a particular make or model to any vehicle shopper, but rather we get to know our customers so we can provide a shopping atmosphere that you can truly feel comfortable in. 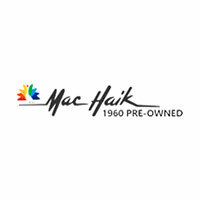 Mac Haik 1960 Pre-Owned has been serving Houston, TX and the surrounding areas with quality pre-owned vehicles for many years and over this time we know that if we treat our customer’s with the utmost respect and honesty, the rest just takes care of itself.